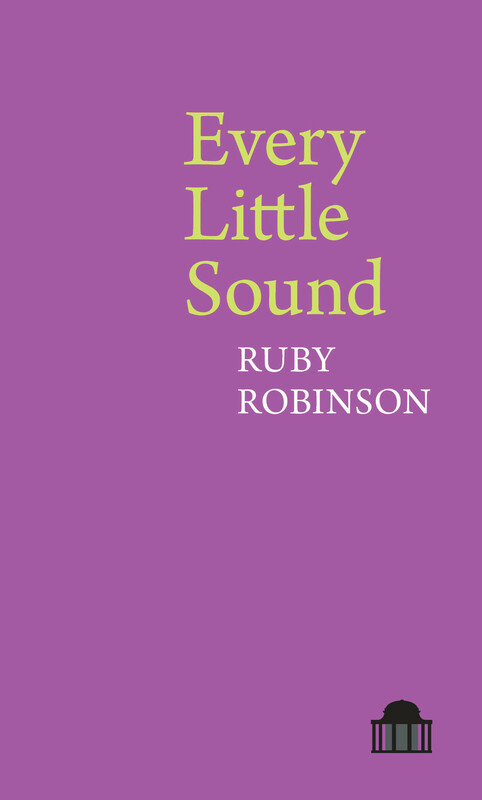 Every Little Sound is Ruby Robinson’s debut collection. The title embodies the inspiration behind the poems – “internal gain”: the “internal volume control which helps us amplify and focus on quiet sounds in times of threat, danger or intense concentration”. This concentrated mastery of attention is reflected in the poet’s lines, both in those which are penetratingly internal as well as those with outward-reaching observations such as “Story”, a four-page prose poem. […] Come in, make yourself at home. onto which shadows of stags are cast like stalking giants. Robinson demonstrates the personal nature of her collection, welcoming us into what appear to be at times, some very intimate observations. She harnesses the awkwardness that these types of revelations can induce and confronts her readers by acknowledging our fears of being judged. She tells us, “I know your deepest thread”. From the outset, we are forewarned – there is nothing so personal that it cannot be expressed here. Robinson brings to light the unspoken connection between reader and poet, and even in the darkest of lines, empathy arises. Although intimacy is woven throughout, Robinson’s lines are not always delicate in their communication. She uses visceral, bodily imagery readily and addresses traumatic experiences directly, in what appears – in part at least – to be a loyalty to truthful communication. No sugar-coating here, and equally no harshness for mere effect. Yet, Robinson doesn’t pretend to know all of life’s answers. I dreamed a baby died of kidney failure. The worst part? of tiny holes, or more – a full, deep breath. Robinson tackles a rather intricate idea in her small collection, yet is successful in her endeavour. Every Little Sound is at times unsettling, and at others, strangely soothing (as in “Breathe Deep”). Despite Robinson’s very warning that our engagement with her work may not be a comfortable experience, it is indeed difficult to feel at ease here. That, perhaps the poet’s intention, insisting as she does, that we engage with thoughts and occurrences that are more trying to communicate. Overall, there is an encouragement to embrace a deeper focus and self-directed attention. 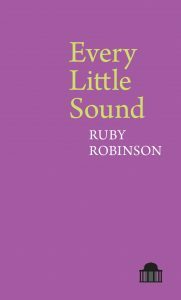 Ruby Robinson’s debut is intense and deeply centred, and asks a similar level of engagement from her reader.